Every year we participate in an amazing outreach that started 25 years ago by Samaritan's Purse. ​This specific ministry focuses on spreading the gospel through filling a shoe box with items for a child. 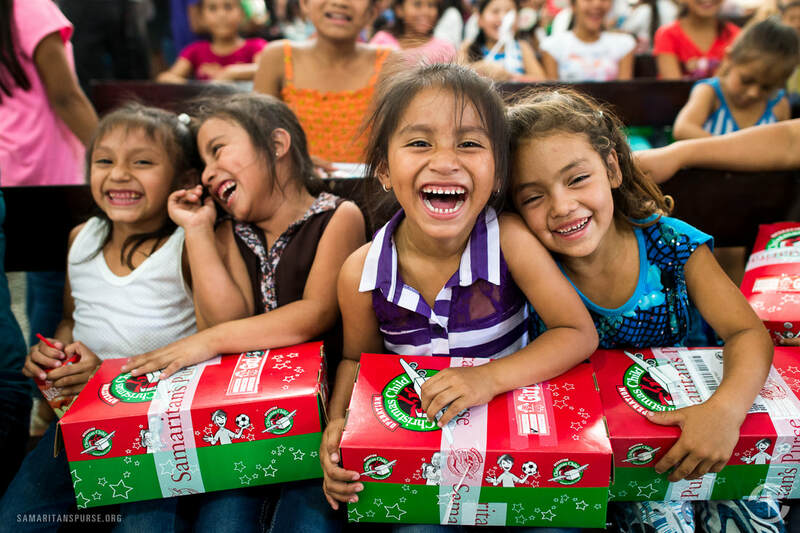 Each child who receives a shoe box will be given the opportunity to join a 12 week discipleship program where they will learn the gospel and hopefully build a relationship with Jesus. Each year in October Sarah Adshade and her team will hand out empty shoe boxes with instructions of how to fill them. They are due back the second week in November. First pick if you want to buy items for a boy or girl. Then select the age preference. ( the labels attached to the boxes will help you with your decision). Items to include are: hygiene products, school supplies, special toys, personal letter etc. ( its all on the detailed list you will be given). Items not to include are: liquids, candy, toothpaste, playing cards, toys that would scare a child. 2016 Open Arms Ministry, Parrsboro, NS.